Book promotion expert Ben Cameron always says “writing the blurb is the hardest 100 words you’ll ever write”, and many authors are also stumped when it comes to writing the front and back matter – another task that usually falls just when you’re feeling least like writing another word, after completing your book’s final edit. Coming to the rescue today is ALLi partner member Jessica Bell, also an author and book designer, with this handy summary. The front and back matter in a book are one of the key factors to presenting a professional and quality product. If done haphazardly, it’s a sure sign in most people’s eyes that the book content will not be up to par. So please do take these things as seriously as your story. First I’ll explain what to include, and how to order it in a paperback. Then I will tell you how to reorder the content for your ebook. Front matter can be subjective as it varies from book to book, but I’m going to advise you based on what I would do. The order isn’t set in stone, but it’s what I think looks the best in a paperback. The amount of praise is going to differ depending on the trim size of your book, and the type and size of the font used. So if you intend to put Praise in the front matter, make sure you collect enough. You can always trim the quotes down too. If you don’t have any quotes, or don’t want to get quotes from authors or media to put here, don’t worry about it, just start with the next step. 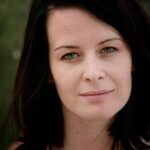 Tip: Here’s a great article on how to get quotes for the cover of your novel on AbsoluteWrite.com (an excellent forum for writers). A short biography. Speaks for itself really. Many authors put these in the back, but I think they look nice at the front in a paperback. Just write something short and sweet, and make sure you include your website URL. Don’t include the http://www, though, as it looks messy. For example, instead of http://www.jessicabellauthor.com, put jessicabellauthor.com. List all other books you’ve written under category headings, i.e. Fiction, Nonfiction, Poetry. If you haven’t published before, ignore this. Your title and author name. Centred and in a large font size preferably. That’s it. No parts of this publication may be reproduced, stored in a retrieval system, or transmitted in any form or by any means, electronic, mechanical, photocopying, recording, or otherwise, without the prior written permission of the copyright owner. This book is sold subject to the condition that it shall not, by way of trade or otherwise, be lent, resold, hired out, or otherwise circulated without the publisher’s prior consent in any form of binding or cover other than that in which it is published and without a similar condition including this condition being imposed on the subsequent purchaser. Under no circumstances may any part of this book be photocopied for resale. Note: You’ll notice that there is no ISBN included here. If you are using Createspace they will include their assigned ISBN in the barcode on the back cover (which they will also provide). However, if you are using IngramSpark and purchase your own ISBNs, do include it under All rights reserved. You can find out more information about distributors, retailers, and places to obtain ISBNs in my latest book, Self-Publish Your Book. This can be something as simple as For John, or it could be a little more detailed and include a reason why. Some people include quotes from other authors that are symbolically relevant to their story. Whatever you do choose to put here, make sure it is centred and the only thing on the page. It’s special. Note: Make sure your first chapter starts on an odd-numbered page if you aren’t able to include everything in this list. Tip: I usually make the font size of front matter a lot smaller than the main body. You will notice the same thing in traditionally published books too. My size of choice for the Praise, About the Author, and Also by Author Name sections is 10 pt, and the size for the Credits Page is either 8pt or 9pt. There are a lot of things you can include in the back of your book. There is no standard way to set any of these things out. Just be creative and do what feels right for you. However, the Acknowledgements page generally comes straight after the end of the story. Note: There is no Praise here. I believe it is useless in an eBook because most eReaders skip to the beginning of the first chapter when the book is opened. Also, the reason we need less at the front of the eBook is so that people get more story content if they download a free sample. A call to connect with you on your website or other social media platforms, and/or sign up to your newsletter. If your book is nonfiction or short stories it will also need a TOC (table of contents) in the front of the paperback and in the back of the eBook. 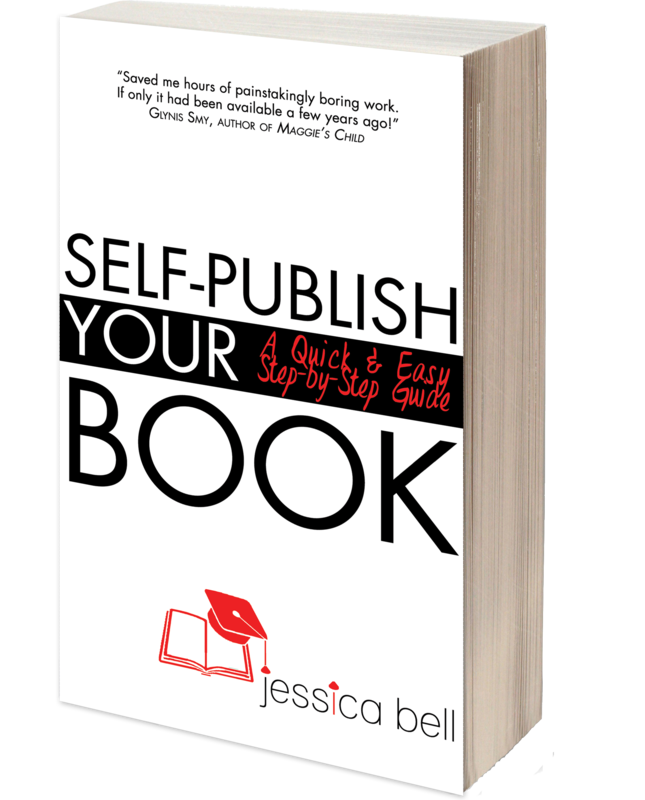 If you found this advice helpful, you might like to know that Jessica’s latest book is Self-Publish Your Book: A Quick & Easy Step-by-Step Guide, the 6th installment of her bestselling Writing in a Nutshell series – highly recommended! Please feel free to add any of your own top tips via the comments box! Opinion: Now Is The Worst Time To Be An Author? amount of expertise in their state your house is in. i thought the acknowledgments went in the front matter of the book for non fiction. I could be mistaken though. Can you show an example of what the call to connect on social media page should look like as far as how it is formatted and what is included? Am I wrong, but in my author’s bio in my book I do not want to include my picture. I much rather have that on my author’s web page. Thank you so much for this helpful information! I’m getting ready to sent my manuscript to Kindle Scout for publication and would have left off the About the Author page and book club discussion questions and a call to connect! I appreciate you! I think you laid out a tremendous game plan for f/b matter. Thank you so.much. Hope you don’t mind, Jessica, but I’ve just printed out your blogpost. I’ve just published (print and e) my first novel, and realise I haven’t made the most of the ‘extras’, so for book 2, out at end of year, I will definitely be including some of the suggested list. That’s excellent advice, Warren! Thanks for dropping by! Hello Jessica: Excellent layout of the bottom-line needs for the front and back matter. I write visual e-novels (soon to be posted on Amazon) are adapted from my screenplays. I am following a pattern similar to all of your comments. Instead of a Blurb, I insert the basic Premise; The Logline on which the story is based. If this doesn’t grab the reader to want to read more, then a 100 – 200 word Blurb (short synopsis) may not sell the story. The critical point is that the author better Deliver on the Premise. If Blurbs are difficult, try writing a Logline in less than 40 words. This is what Hollywood calls “High Concept”. Screenplays teach how to write tight, and effective, with sub-text. William, this is a list for authors who are just starting out and want to keep it simple, while still producing a quality product. That is what my Nutshell series is all about. I have worked for (and still do) publishers such as Pearson Education, HarperCollins, Macmillan Education, Education First and Cengage Learning, and I am well aware of what the front and back matter should be in various types of books. But I do believe, as an indie author, we have the freedom to not make things complicated. If someone is publishing a medical journal, no, this list will not cut it. For those who want to publish their first book; for those who want to avoid the hassle of research, what I have listed here, is quite enough. Well, I am not sure why the front matter is subjective. It is clearly documented in style guides such as the Chicago Manual of Style. For example, a book has two title pages, a half title and title. The half title has simply has the title, the title page contains the title, subtitle, author, publisher, and location. The frontispiece, if you want one, come between the half title and title. Chicago also documents the back matter. BTW, the copyright page should also have the address for the publisher and the ISBN, even if the ISBN is listed elsewhere. While I think it is great that Jessica has spent the time to try to figure this out–it is not easy. And her work on this is great. It might be worthwhile to actually list references that breakdown the parts of a book. Here is my recommendation: Chicago Manual of Style. Agreed! It would be helpful to at least provide links to the industry standards, like Chicago Manual of Style. 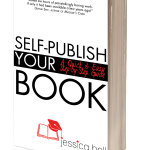 It is definitely a different day and age, with self-publishing becoming not only accepted but, at times, very successful; still though, knowing what the standard is (and has been for years) is good knowledge for self-publishers, then they can decide for themselves whether to keep stick to the standard or try out the structure Jessica recommends. Thanks for your opinion, David. It really all comes down to personal taste and the content of this post is really just a recommendation. There are always going to be people who don’t like the way one person or another does things, but we really can’t cater to everyone. I think writers should simply add what they feel like adding, and if they discover that it is annoying their readers they can re-evaluate their methods. Mind you, I do believe, very strongly, that the endmatter I have listed under “necessities’ for an eBook should be included. It’s an opportunity to gain sales on other books and to build a mailing list. One thing I’ve heard a great many readers of ebooks say, and I agree with them, is that too much back matter in an ebook can be as annoying as too much front matter. It can be irritating and annoying to be – say – 70-80% of the way through a book, expecting more, only to find the story ends and the last 20 – 30% (and sometimes even more) of the book is taken up with back matter. Sometimes it feels like the stuff is there as padding to make the book/story seem bigger than it is. Sorry for sounding a bit negative, but writers should be aware that even something as seemingly mundane as the amount of front/back matter in their titles can easily annoy some readers and perhaps lose them that reader in future. Thanks, Jessica for this excellent list. Its been awhile since i published my last novel and I was beginning to arrange my front and back matter for my new release. This is so handy and timely! One other page I will be including in my next ebook is a link to get a free short story if the reader signs up to my newsletter, which will have a thumbnail version of the cover of the free story. I got this idea from Nick Stephenson. That’s a great idea, Julie. I did mention to include a link to your newsletter, but adding a thumbnail of the free book is a very nice idea!